Our company, which is much-experienced in car rentals, offers our clients top-quality services, a flexible approach and new cars that are overhauled on a regular basis in showroom services. As our main priority is our customers' safety and comfort, we have chosen our fleet very carefully: all cars have a spacious boot, air-conditioning, electric windows, radio-CD or radio-cassette player, driver and passenger airbags and many other safety and comfort systems. Therefore, the quality-price ratio is the best on the market. If the gridlock traffic or the need to move quickly from one place to another has become a problem, then it is time for you to resort to Auto-Grand, your trustworthy partner. 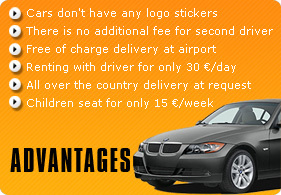 Our company is headquartered in Bucharest and rents cars with or without a driver to Romanian and foreign citizens who wish to travel safely. 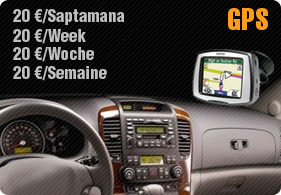 We offer you the ideal solution: good cars at good prices. Rent a car from us and your problems are solved. Auto-Grand - quality at competitive prices! Copyright © 2007 rent-car.ro. Toate drepturile rezervate.